The average American gets a tax refund each year. In fact, the average tax refund is more than $2,700. That's a pretty nice infusion of cash. Windfalls can lead to temptation. For example, a nice vacation is something that many people will use their tax refunds for. This is only one way to spend a refund, however. One of the better options would be to invest some of that money for retirement. 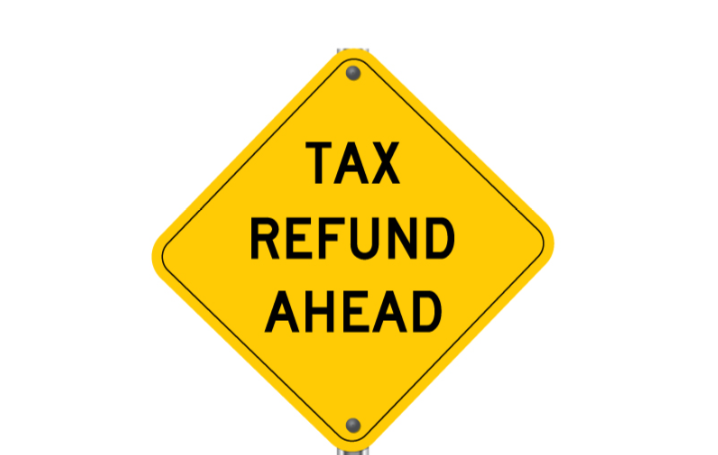 There are several options for saving a tax refund. First is a regular savings account. This might not help much toward retirement, but for those who have little in the way of an emergency fund set up, it could be a good idea regardless of what their income level might be. Traditional or Roth IRAs are good options for saving toward retirement with a tax refund. Additionally, those who are self employed can opt for what's called an SEP-IRA. These are quite easy to set up today. There are many online brokerages that allow for setting up retirement accounts with a few clicks of a mouse and five or 10 minutes of time. The average tax refund would go a long way toward getting into some mutual funds through Vanguard or Fidelity that charge very low management fees. From there, it's possible to start saving even very small amounts each month. Saving in a retirement account comes with some pretty nice tax breaks. Those who are don't make too much to invest in a Roth IRA pay with after-tax dollars, and there will be no taxes due on the contributions or the growth when it comes time to start withdrawing from the account. Those who decide to save with a Traditional IRA will see their tax bill go down in the contribution year. For example, investing the entire $2,700 average tax refund in a Traditional IRA would cut taxes by $594 for those who hit the very middle-class 22-percent tax bracket. The Traditional IRA allows for pre-tax savings, and those who invest in this vehicle will owe taxes when they withdraw the funds. Additionally, those who make less than $60,000 in taxable income and save within a qualified retirement plan will be able to take advantage of a special savers tax credit. For those who have a hefty return that's higher than the average, it's still possible to save for retirement while having some fun. Instead of spending $5,000 on a vacation, why not stay closer to home and invest some of the refund for retirement. Some could choose to opt for a weekend staycation depending upon where they call home. It's important to remember that every dollar that's saved today will likely be worth much more than a dollar a few decades down the road. Even those with relatively high incomes will frequently have little in savings for retirement or otherwise. A nice tax refund provides the perfect opportunity to save a bit toward retirement. It's important to keep in mind that IRAs are available to many Americans even if they have 401(k) or other similar plans available through their places of employment. Even if they are not available, it's possible to save in a taxable account. Few times of year provide a windfall that's as big as a tax refund. Rather than spending it all on a pricey vacation, putting some of the refund away can help toward retirement. The further away retirement is, the more the savings will pay off in the future as the funds will compound over a period of years or even decades. If you are looking for additional guidance on your retirement plan and we have not talked with you recently or at all, give us a call. Make 2019 the year you felt confident in your retirement plan.